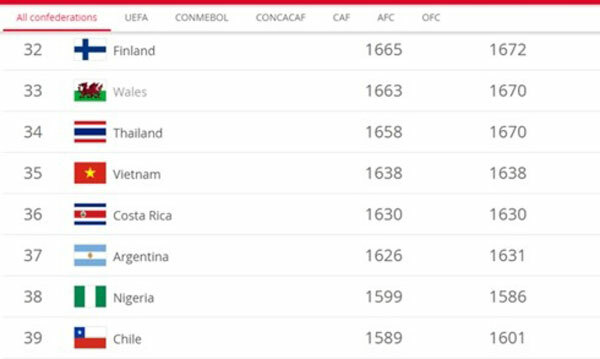 The Việt Nam women’s national football team have retained their 35th position in the latest FIFA world rankings. In the overall world rankings, the US remained first with Germany second and Britain third. The rankings are set to change in the second quarter as the 2020 AFC Women’s Olympic Qualifying Tournament is scheduled to take place this month.